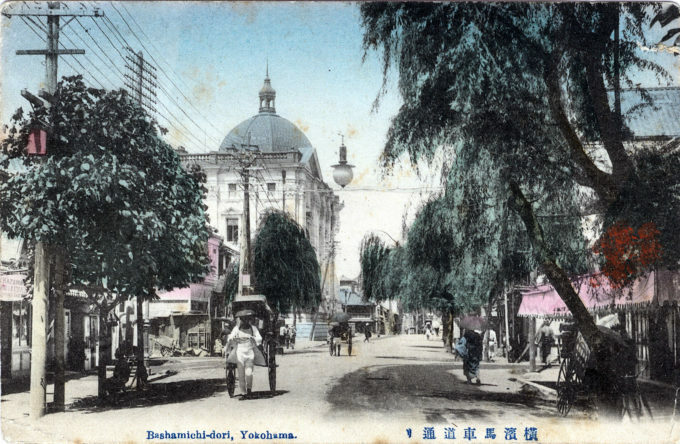 “In February 1880, the incorporation of the Yokohama Specie Bank, Ltd. was officially approved by the government … As the name ‘specie’ implies, the bank was founded to deal in gold and silver coinage … When the Bank of Japan was opened in 1882, the Yokohama Specie Bank contributed to the central bank’s gold reserves and handled the overseas banking business both of the government and of the Bank of Japan. Basamichi-dori, Yokohama & Yokohama Specie Bank, Yokohama, c. 1920. 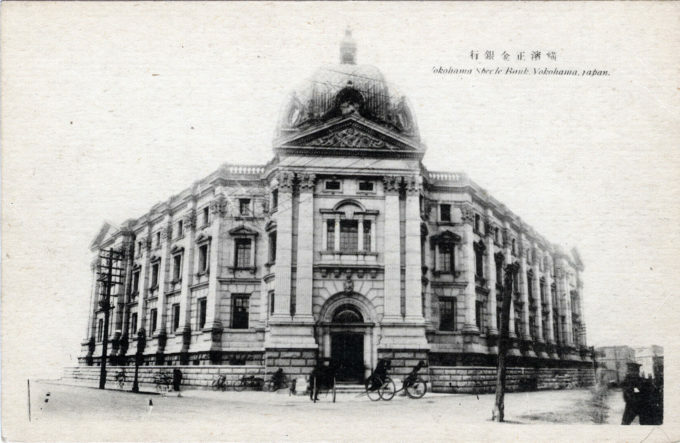 “The new Specie Bank, standing as it did in Kannai, the heart of the old foreign settlement and the home of the foreign banks that once controlled foreign trade, illustrated an important fact. After two decades of supplying Japanese trading companies with loans and foreign exchange, this bank had become powerful and wealthy.